One Liberty One World is for voluntary socialism. Democratic socialism is a variant of socialism that rejects centralized, elitist, or authoritarian methods of transitioning from capitalism to socialism in favor of grassroots-level movements aiming for the immediate creation of decentralized economic democracy. The term is often used by socialists who favor either electoral transition to socialism or a spontaneous mass revolution from below to distinguish themselves from authoritarian socialists that call for a single-party state, most notably to contrast with Marxist-Leninists and Maoists. Democratic socialists endorse a post-capitalist, socialist economic system as an alternative to capitalism. Some democratic socialists advocate market socialism based on workplace self-management, while others support a non-market system based on decentralized-participatory planning. Many contemporary democratic socialists reject centralized planning as a basis for democratic socialism. Social democracy is a political ideology that considers itself to be a form of reformist democratic socialism. It advocates for a peaceful, evolutionary transition of the economy to socialism through progressive social reform of capitalism. It asserts that the only acceptable constitutional form of government is representative democracy under the rule of law. It promotes extending democratic decision-making beyond political democracy to include economic democracy to guarantee employees and other economic stakeholders sufficient rights of co-determination. Common social democratic policies include advocacy of universal social rights to attain universally accessible public services such as education, health care, workers’ compensation, and other services including child care and care for the elderly. Social democracy is connected with the trade union labour movement and supports collective bargaining rights for workers. Most social democratic parties are affiliated with the Socialist International. Critics of contemporary social democracy such as Jonas Hinnfors argue that when social democracy abandoned Marxism it also abandoned socialism and has become in effect a liberal capitalist movement. Marxian socialists of the classical, orthodox and analytical variations argue that because social democratic programs retain the capitalist mode of production, they also retain the fundamental issues of capitalism, including cyclical fluctuations, exploitation and alienation. Social democratic programs intended to ameliorate capitalism, such as unemployment benefits, taxation on profits and the wealthy, create contradictions of their own by limiting the efficiency of the capitalist system by reducing incentives for capitalists to invest in production. Democratic socialists, such as David Schweickart, contrast social democracy with democratic socialism by defining the former as an attempt to strengthen the welfare state, and the latter as an alternative socialist economic system to capitalism. According to Schweickart, the democratic socialist critique of social democracy states that capitalism could never be sufficiently “humanized”, and any attempt to suppress the economic contradictions of capitalism would only cause them to emerge elsewhere. For example, attempts to reduce unemployment too much would result in inflation, and too much job security would erode labor discipline. In contrast to social democracy, democratic socialists advocate a post-capitalist economic system based either on market socialism combined with workers self-management, or on some form of participatory-economic planning. 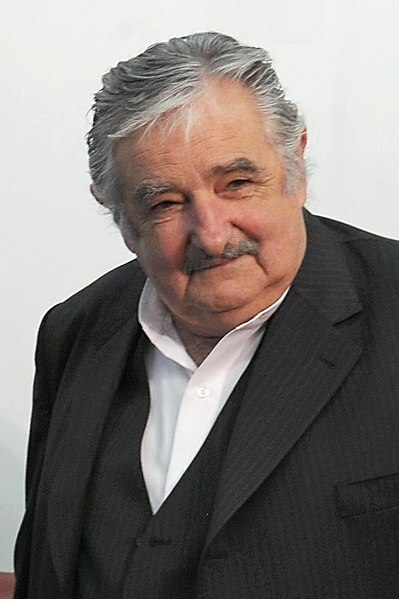 José Alberto “Pepe” Mujica Cordano (Spanish pronunciation: [xoˈse muˈxika]; born 20 May 1935) is an Uruguayan politician, and President of Uruguay since 2010. A former guerrilla fighter and a member of the Broad Front coalition of left-wing parties, Mujica was Minister of Livestock, Agriculture, and Fisheries from 2005 to 2008 and a Senator afterwards. As the candidate of the Broad Front, he won the 2009 presidential election and took office as President on 1 March 2010. He is a vegetarian, and has been described as “the world’s ‘poorest’ president“, as he donates around 90 percent of his monthly salary, approximately $12,000, to charities to benefit poor people and small entrepreneurs. 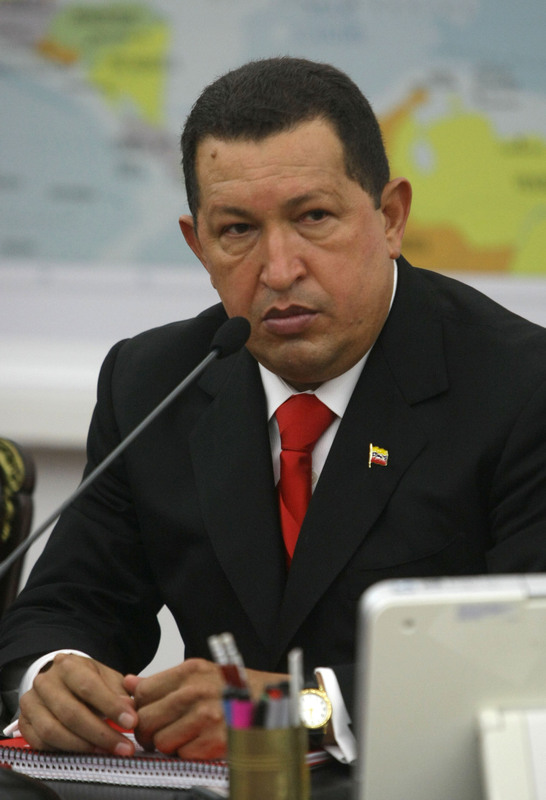 Hugo Rafael Chávez Frías (Spanish pronunciation: [ˈuɣo rafaˈel ˈtʃaβes ˈfɾi.as]; 28 July 1954 – 5 March 2013) was the President of Venezuela from 1999 until his death in 2013. He was formerly the leader of the Fifth Republic Movement political party from its foundation in 1997 until 2007, when he became the leader of the United Socialist Party of Venezuela (PSUV). Following his own political ideology of Bolivarianism and “socialism of the 21st century“, he focused on implementing socialist reforms in the country as a part of a social project known as the Bolivarian Revolution, which has seen the implementation of a new constitution, participatory democratic councils, the nationalization of several key industries, increased government funding of health care and education, and significant reductions in poverty, according to government figures. Socialism of the 21st century is a political term and a slogan coined by Heinz Dieterich in 1996. It was used by recenty-deceased president of Venezuela, Hugo Chávez, during a speech at the World Social Forum of 2005 and it has been publicised actively by Dieterich worldwide since 2000, especially in Latin America.